The BABY-NOVA Deluxe soothers are a high quality German product made by one of Europe’s leading producers of soothers. The name or text is permanently engraved on the soother by UV laser which ensures that it cannot be worn off and it will always look great even after repeated sterilisations. 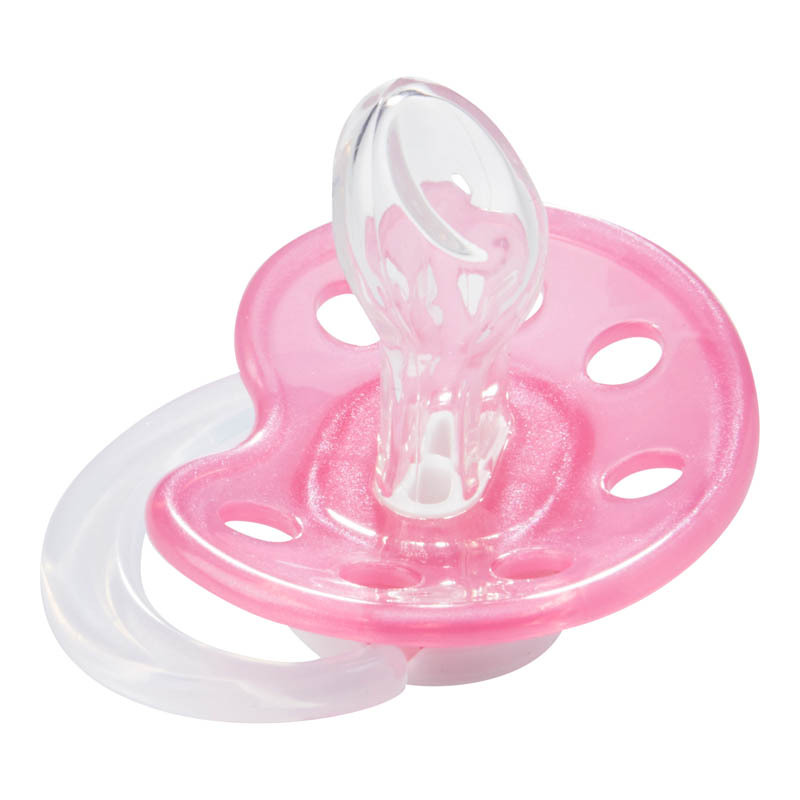 These soothers from BABY-NOVA can be used by children aged 3 to 36 months. The teat is anatomical shaped with a flat tip and made of silicone. The shield and ring are made of polypropylene and 100% BPA-free, phtalate-free and PVC-free. All our soothers are EN Standard 1400 approved.